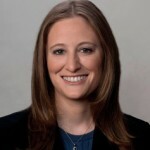 On June 3, 2019, Lauren Schnitzer, Esq. will present on the topic “Section 504 Plan Documentation: What You Need to Know” at the National Business Institute Seminar “New York Special Education Law – Comply With the Latest Special Education Laws to Avoid Liability” at the Four Points by Sheraton Melville Long Island, 333 S. Service Road, Plainview, New York. On June 18, 2019 Join Us for a Free Energy Performance Projects Seminar! SERVICE BY E-MAIL, FAX OR OTHER FORMS OF ELECTRONIC COMMUNICATION NOT ACCEPTED. Copyright © 2018 Lamb & Barnosky, LLP. All rights reserved.